After around 1 month of waiting we can now sit in the living room and not look straight through to blank walls. It has stressed me out with how long it has taken but finally things are progressing. Me and Liam were away for the night last Saturday so my parents came round to make a start on getting our dining room ready. They glossed all the skirting, door frames and window sill. 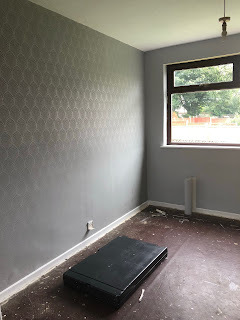 Then they got started on the dreaded wallpapering. We have chosen to carry on the paper from the living room so it just flows nicely into one plus I really love the feature walls pattern. The biggest problem we came across in the room was the ceiling, I don't know how many times poor Liam had to go over and over this to keep it all nice and white. But finally it is done and looking good just one touch up needs doing in the middle. We also had a few bits in the walls to fill in but these filled quickly and smoothly. Put the artwork on the wall. 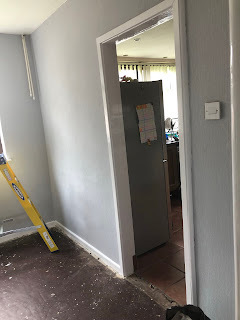 I just can't wait for all this to be done but time is ticking now as we are having my birthday party at ours on September the 8th. Fingers crossed it all goes smoothly and on time. 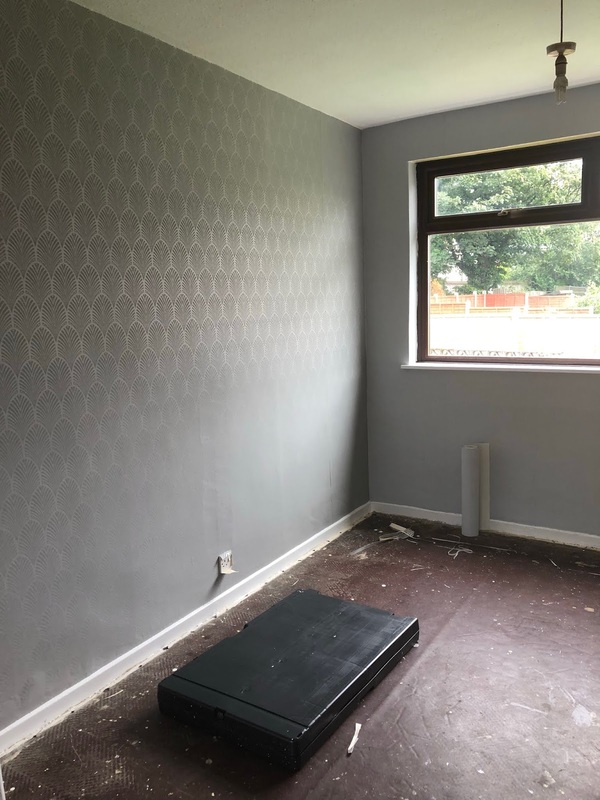 Luckily once this room is complete and a few other bits in the games room and living room, there is only the spare room to do before we need to get saving for the bathroom and loft. After that it will be a very very long time until we decorate again.